I like to see things long term. I’m always asking pesky questions, like How does this fit into the big picture? What’s the end goal? and What color-coding scheme should I use? Lesson planning and I have a love/hate relationship. One one hand, I love planning August-May in a day! On the other hand, I hate having to mark things out and scribble the new plan next to them in my planner. Why can’t every day just go as I perfectly planned it in August? said every teacher ever. If there’s one thing I’ve learned over my years of teaching, it’s that a flexible planning process is key to keeping your sanity during the school year. Even if (especially if) it doesn’t come naturally. 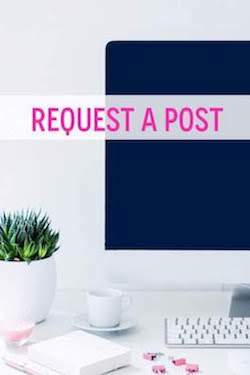 So today, I’m sharing my flexible planning process! One of the first things I did was create an overview for the year. 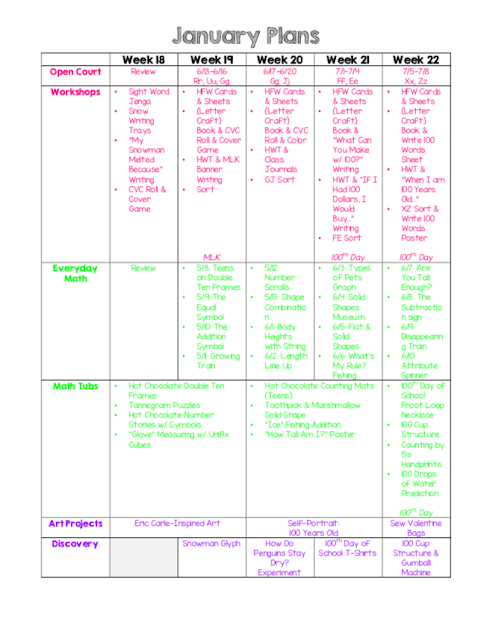 I typed out a table with every month and what we covered in art, discovery, handwriting, math, reading, and writing. This is super helpful and easy to reference when planning longterm! Planning Workshops was probably the thing that took the longest time last year… so I wanted to get a head start on it over the summer! I created a table with our workshop dates going vertically (we do them every Monday-Wednesday), and the different workshops going horizontally (Daily 5). I cannot even tell you how helpful this was! I just typed out some ideas/activities in each box, and it was good to go! Of course, if I run across a better idea between now and then, I can just update it with the new activity! But I'm no longer building workshops from scratch anymore. There is something documented as a backup! 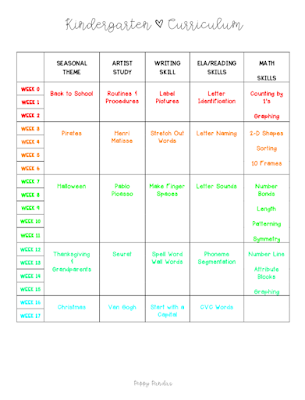 For the past two years, I have spent $60 on a new Erin Condren Lesson Planner, only to ditch it around fall break. I don’t know why, but I just struggle with using them for school! School planning is messy. Things get scribbled in, crossed out, moved, changed… I think it’s just stressful for me to see such a beautiful planner get destroyed by the fluidity of planning for an actual school year! SO, this year, I just bought a cheap one from Target ($3). I think I’m more comfortable using it because it’s not as pretty. (I know. I don’t even know who I am.) And get this… I do the planning with a mechanical pencil! It’s not even color coded! But it can be erased… and teaching Kindergarten (or any grade, for that matter) is all about being FLEXIBLE. 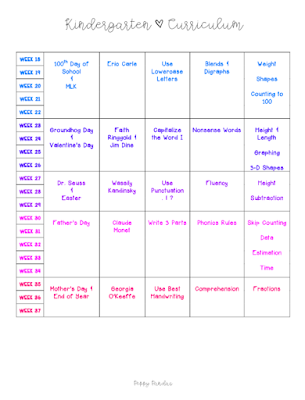 -I look at the Curriculum Map and plug in the concepts/topics we’re covering for each topic. By using pencil, I can plan WAY ahead (like I like to do), but I can also erase and edit things if something comes up (which it always does). Each week, my Kindergarten team meets to plan for the next week. This meeting is where we discuss any upcoming school events, parties, crafts, etc. We try to stay aligned in our pacing, so we talk about which reading, math, and handwriting lessons we’ll teach and make sure we’re all on the same page. We also share ideas that we found on Pinterest came up with. Once this meeting of the minds is finished, I “lock in” my plans. Next, it’s time to type them up and make them look pretty! After our meeting, our kids come back from P.E. for quiet reading/resting time. I use this to type the plans that are scribbled all over my cheap Target planner into a neat 1 page format. I print it out, hand a copy to my assistant, and we’re good to go for the next week! What strategies/tricks have you come up with to be a flexible planner? Have you found a way to keep your ECLP looking pretty until spring (or is it just a lost cause)? Share your planning process below!